(CNN) - Microsoft and Amazon, the two most valuable companies in the world, are already competing for supremacy in cloud computing. Now Microsoft has its sights set on battling Amazon in the lucrative health care market as well. Microsoft (MSFT) announced a partnership with Walgreens Boots Alliance (WBA) Tuesday. As part of the deal, Microsoft will become Walgreen's new cloud provider. The two said they will also work on solutions to lower health care costs. Walgreens will open up 12 "digital health corners" in stores that will sell health care-related gadgets. 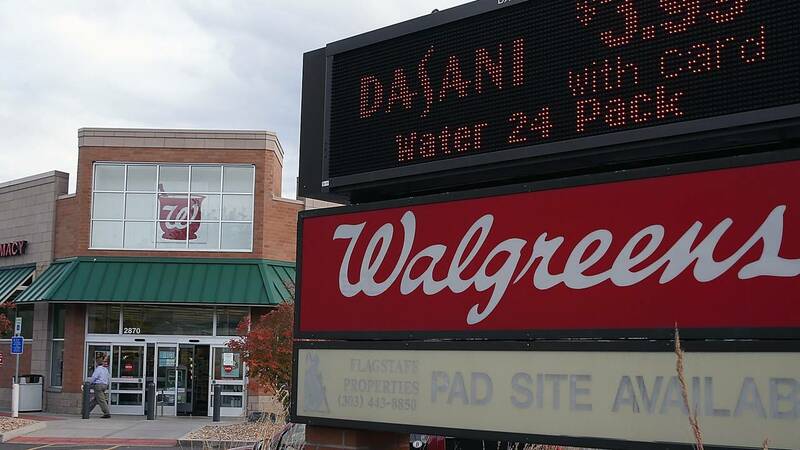 The two companies said the partnership will help Walgreens gain personalized data about their customers' health, which will allow pharmacists to give better, customized nutrition and wellness solutions. The Microsoft-Walgreens joint venture appears to be a clear move by the two companies to try and counter Amazon's (AMZN) growing clout in health care. Last year, Amazon bought online pharmacy PillPack. It also announced a partnership with Warren Buffett's Berkshire Hathaway (BRKB) and banking giant JPMorgan Chase (JPM) to create a new health care company that they touted would be "free from profit-making incentives and constraints." Experts expect more deals like this in the future since nobody in Silicon Valley will want to let Amazon get a big head start on health care. "Tech companies can either sit back and wait to see if Amazon messes up in health care or they can get involved now," said Don Townswick, director of equities portfolio management at Conning. Microsoft CEO Satya Nadella said the Walgreens partnership will help it work on some of the trickiest issues in healthcare. "Improving health outcomes while lowering the cost of care is a complex challenge that requires broad collaboration and strong partnership between the health care and tech industries," Nadella said. Walgreens Boots CEO Stefano Pessina hinted at how the deal could help make the health care experience in general more efficient, from going to a doctor to getting insurers to pay for prescription drugs. Pessina said Walgreens "will work with Microsoft to harness the information that exists between payors and health care providers." The Microsoft-Walgreens alliance also comes at a time of rapid change in the overall health care industry as drug makers seek new growth opportunities and health care providers team up to try and manage costs. Two blockbuster drug mergers have already been announced this year, with Bristol-Myers Squibb (BMY) buying biotech Celgene (CELG) and Eli Lilly (LLY) scooping up cancer drug specialist Loxo Oncology (LOXO). Walgreen rival CVS (CVS) closed its megadeal for insurer Aetna last year, while Aetna competitor Cigna (CI) has merged with pharmacy benefits management company Express Scripts. There were also rumors last year that Walmart (WMT) might want to buy insurer Humana (HUM). Speculation about a Walmart deal for an insurer could heat up again. Walmart and CVS announced Tuesday that Walmart was leaving the CVS network for commercial and Medicaid prescription drug plans following a disagreement over pricing.